The 5 Start Acme Nut assembly from CNC Router Parts features a new compact design with threads running through the entire nut, providing high load capacity and miles of backlash-free linear travel, along with a rugged aluminum housing, securing the drive nut to your moving axis at a convenient right angle. These nuts are backwards compatible with our older Acme nuts, and are a drop-in replacement. When used with our Standard Linear Motion system, this assembly will line up perfectly with our NEMA 23 or NEMA 34 motor mount and bearing blocks. 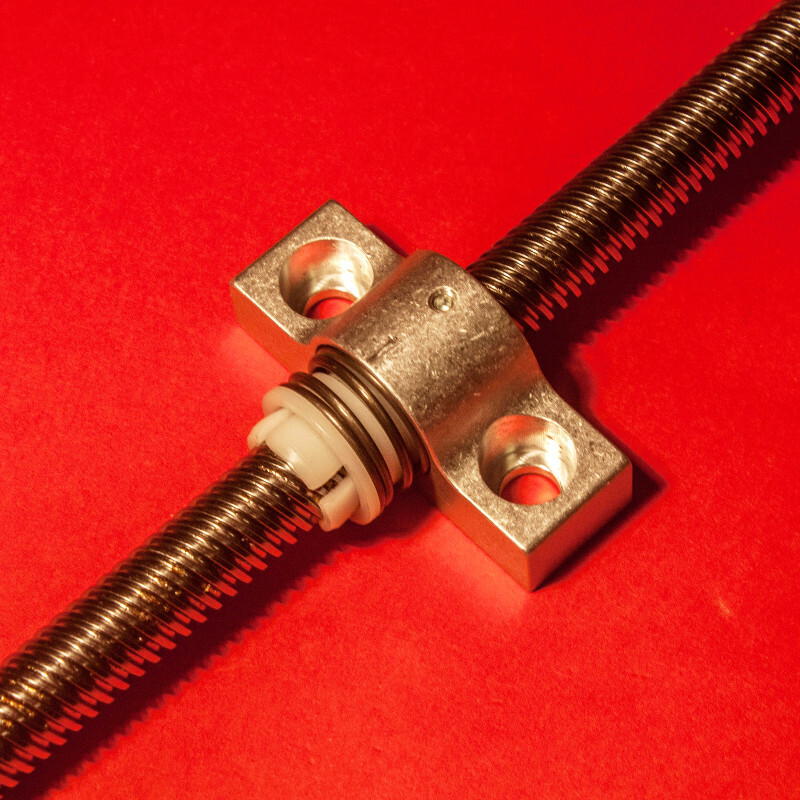 This product also includes (2) 5/16-18 x 5/8" socket head cap screws for affixing to our High Z Plates or to t-nuts riding directly in 1530 aluminum extrusion. 5 Start Acme Lead Screw for use with these nuts is also available directly from CNC Router Parts in a variety of lengths. 5 Start High Load Anti-Backlash Acme Nut with 5 Start Acme Lead Screw (not included). This product was added to our catalog on June 9, 2009. Whiteside O-Flute Up Cut Spiral CNC Router Bit - 1/4" x 3/4"
ER20 Collet and Nut Set, 1/8", 1/4", 3/8"